Best RBA Atomizers of 2018 - Full Reviews & Best Choices! Sub ohm tanks have for long had their fair share of the vape industry, but the recent influx of RBAs into the vape market means it’s their turn to stake out their portion. For those who haven’t figured out what exactly an RBA is, here’s a simple and clear definition. It’s a rebuildable atomizer. What sets an RBA apart from other types of atomizers is the fact it lets you to not only wrap your own coil into place but also insert the wick on your own as opposed to using pre-built coils. Thanks to RBAs, vapers can now fine tune their vaping experience. Besides that, they take vapor and flavor production to a whole new level and save one the pain of spending more money on new coils. For more clarification, check out our RBA vs RDA guide. Want to shift from your sub ohm tank to an RBA? Are you out to buy an RBA or figure out your next RBA? Our solid list has the best for each of us. Griffin RTA from GeekVape continues to attract the attention of many vapers and it’s all well-deserved. Besides being extremely functional and sturdy, it comes with a spacious deck and delivers remarkable clouds and flavor.Its top fill tank has a capacity of 3.5 ml. Removing the top fill cap exposes you to its wide adjustable juice flow channels. Not forgetting to mention the wide dual air flow holes as well which you can adjust to give a tighter draw. Each of them measures 12mm by 2mm.Passionate builders and sub-ohm vapers out to find the best rebuildable tank with two posts need not look any further than the Griffin RTA. Building on this two post deck is pretty easy and aside from that, the post holes can conveniently take both twisted and Clapton builds. The all new Avocado 24mm atomizer from GeekVape is what every vaper needs for a perfect flavor experience. It makes use of a ceramic baffle board which air goes over as it heads straight towards the atomizer’s coil and from there, all the remarkable flavors are delivered.Another great thing about this atomizer is that it utilizes a genesis-style deck featuring four post holes. In addition, the deck is large enough to accommodate nearly every build including a Clapton. Its e-juice capacity is set at 5.0 ml for both dual and single coils. Also included is a new filling mechanism found on the tank’s deck. Those who’ve encountered issues with their wick during a refill will find this new mechanism pretty helpful.As for the airflow, the atomizer comes with different options to suit your different vaping needs. 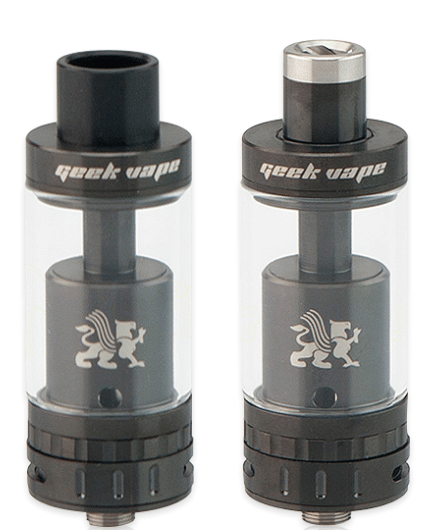 In fact, both the single and dual coil tanks have airflow options. The company also provides its clients a set of drip tips to choose from which can as well be replaced. Overall, Avocado 24mm is a great pick for both novices and pro-vapers. Smok TF currently leads Smoktech’s new TF-RTA series of powerful tanks and from company’s great reputation for epic vaping products, it’s clear that this particular product is destined to be a timeless masterpiece.Just like its little brother, the TVF4, it makes use of swivel top design which makes filling it easy and convenient. To keep away leakages, it comes with a hidden sealing ring and an advanced juice control system making it the first of its kind to have a tank free from any leaks. In terms of capacity, the tank can take up to 4.5ml of e-juice.It also features two unique and interchangeable build decks and a double layer drip tip enhanced with a glass layer to keep away extra heat. At its bottom, it has quad adjustable air slots each measuring 7.5mm by 2.0mm. 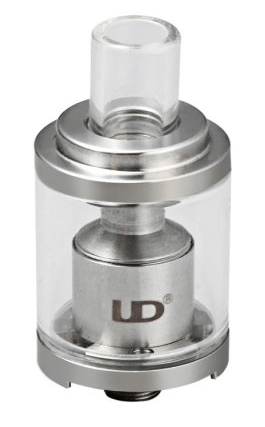 If you are out to test the depth of vaping, this is certainly the best rba tank. All vapers looking to experience massive clouds and incredible flavors need to try out the Goblin Mini. It might be some few millimeters shorter than the original Goblin but the reduction in size is what has given its flavor a significant boost.Being small in size also implies that it has a small tank (3.0 ml). Whereas some find this capacity to be small, an average vaper will find that enough to last them a day. Its build deck can accommodate dual coils but with the inclusion of a single coil adapter, single coils can as well be taken in.Airflow holes have been fitted at the tank’s base directly below the coils and you can control airflow with the help of a lever. The Goblin mini also doubles up as the best atomizer for mouth-to-lung vaping and direct to lung vaping as well. Some of us know them for their Troll and Freakshow RDA’s but little known to many is that Wotofo currently has one of the least expensive yet best rebuildable atomizer tank. Wotofo Serpent mini is smaller single-coil atomizer but it comes loaded with the capacity to deliver a complete vaping experience at a very moderate power.Its tank can take up to 3ml of e-juice which you can from the top in a snap. The Serpent mini also has 2 Cyclops style airflow holes which you can open fully or shut completely depending on how you prefer to vape.Building it is easy, even for novices, as it comes ready with coils that serve as an example. Wicking is also easy but needs to be done with utmost care. Need help? Here’s a video that will teach you how to wick your coil. 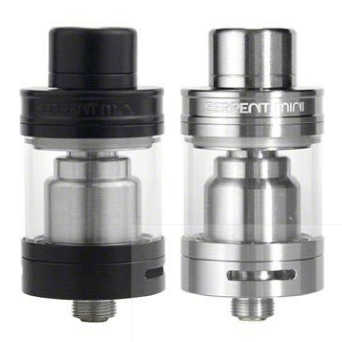 Really makes Serpent mini the best rba tank to many vapers is the fact that you get a superb flavor, massive clouds and also get to enjoy dozens of its other excellent features all at a ridiculously inexpensive price. As the vaping market continues to get increasingly saturated by the day, it also gets more challenging narrowing down on the best rebuildable atomizer. 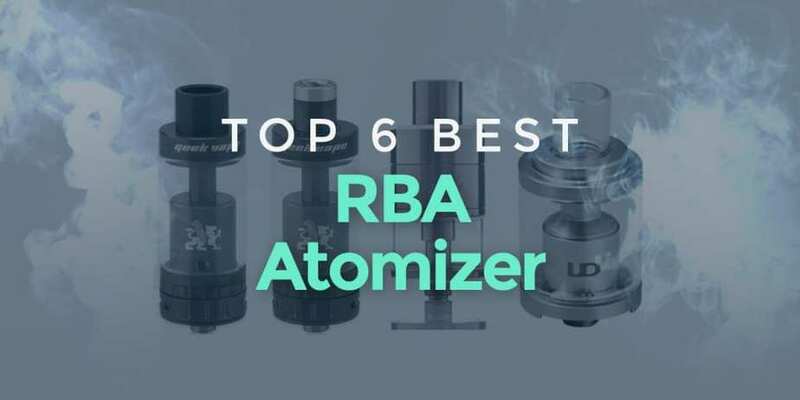 But we’ve done the bulk of the work for you and so what remains is for you to sort through our list to identify the best ﻿rba atomizer for you. 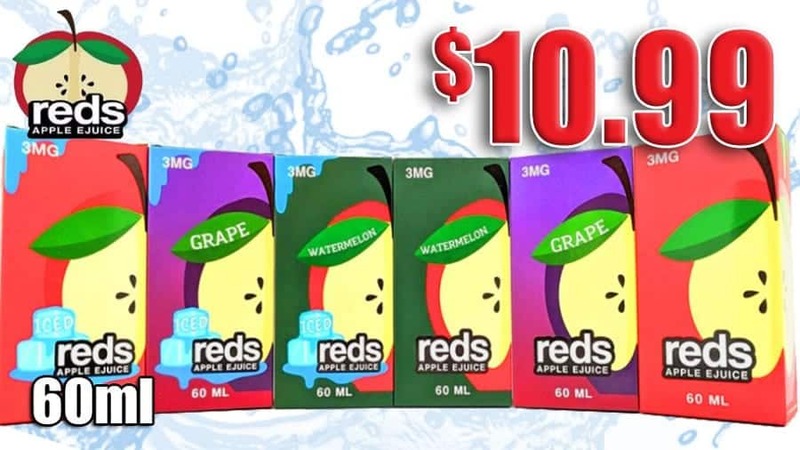 Whether you prefer the flavor, massive clouds, mouth to lung vaping, direct to lung vaping, name it, our list has you covered. You can also check our list of the best RDA atomizers. Also, whenever you are out to find what is the best rba for your vaping needs, always bear in mind that the terms RTA and RBA are oftentimes used interchangeably to refer to a rebuildable atomizer tank.